Home » Inspiration » My Cappuccino Loves Me…. I’ll post a new outfit tomorrow! 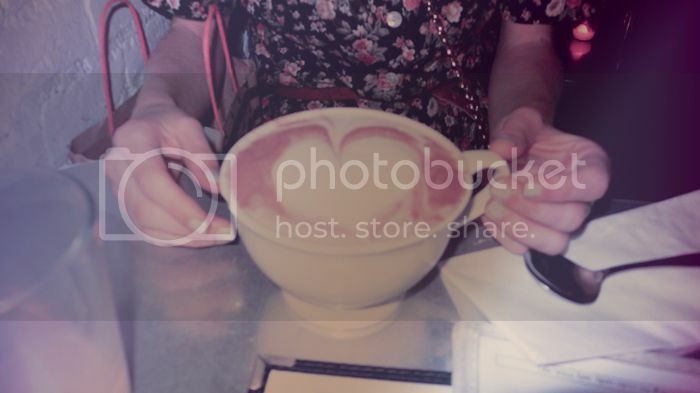 36 Comments on My Cappuccino Loves Me…. Second, I love those Capuccinos with heart shapes or leaf shapes on top..so artistic and cute! I love your new banner!! there is NOTHING that makes me happy than a really good huge latte or cappucino. YUM! i want! p.s. wheres your favorite place to get one in the city? im hooked on grey dog right now! this is a beautiful photo – i can’t really tell but the romper looks pretty and the cappucino delish! Lovely pic =) Check out our new HotPicks Contest on http://www.stylight.com/Hotpicks/! Get your own Escapulario Charm Bracelet and win a trip to Paris! ohhh lovely!! I follow you! check my blog and if you like it i would be glad to have you in my followers! That is one huge cap! When I wake up in the morning and I have a bad mood, thinking about having a creamy, tasty cappuccino is one of few things that can take me out of bed!